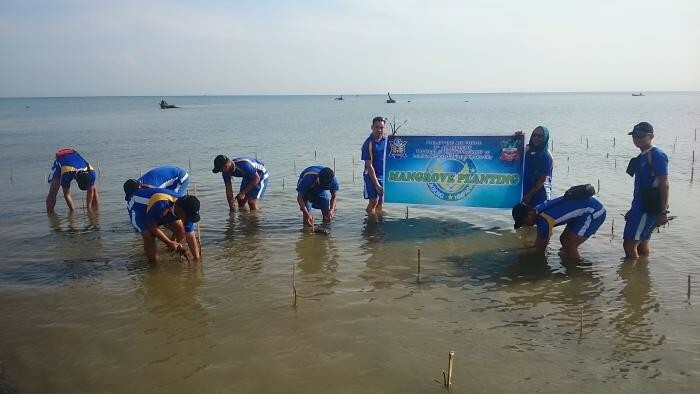 Last Saturday, May 9, the Philippine Air Force-Tactical Operations Group 10, together with several groups in the city, led the mangrove planting activity in Zone 8, Bulua, CdO. 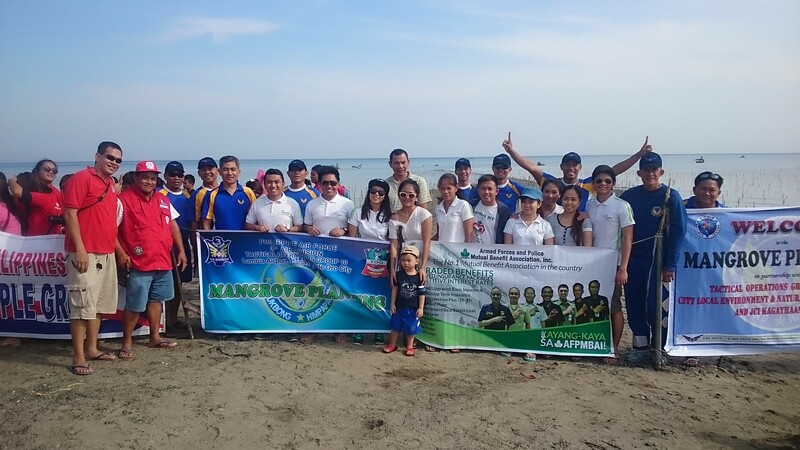 Italpinas and other green advocates come together as they planted 5000 mangrove seedlings around the shoreline. PAF-TOG 10 partnered with several groups namely SPOW EOD-K9, 8th ARCEN, 71st AFRG, CRSAFP, 4ID, PA, 10th FAB, ACDI-CDO, FABSLAI, AFPMBAI, JCI Kagayhaan, DepEd, REACT, KAMAU 4H-Opol, CLENRO, and Bulua Barangay Council. With the theme, “Stand Up Save the Reefs”, the Ocean Month Celebration paves the way to highlight the importance of mangroves in the city. “This is part of rehabilitating our very own Iponan River. Through planting mangroves around its vicinity, we can secure food for our farmers and fisher folks. Mangroves are our aquatic life’s nursery. We are not just saving the ocean, we are saving lives,” Edwin Dael, CLENRO-OIC, said. 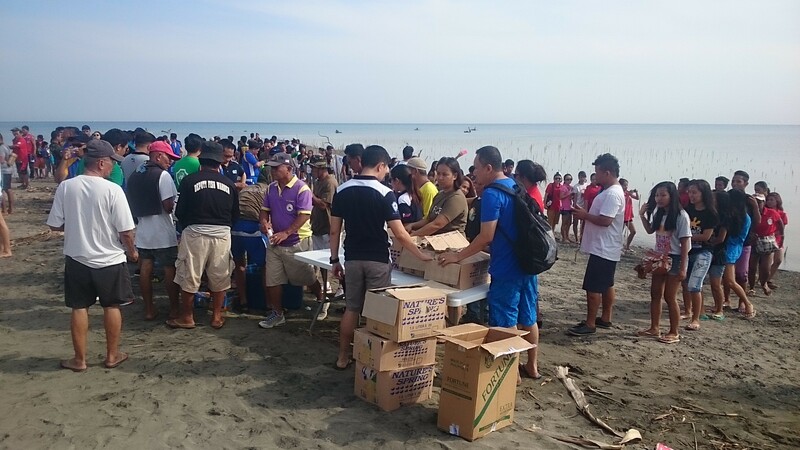 On October 11, 2014 and February 7, 2015, Italpinas joined CLENRO and PAF-TOG 10 in the same activity at the coastal area in Bonbon, CdO. It was supported by schools, green advocates and some residents in the said barangay. “To be part of a sustainable development and joining the city’s thrust to promote environmental advocacies is not just rewarding but also a testimony that Cagayan de Oro’s progress still goes hand in hand with nature. 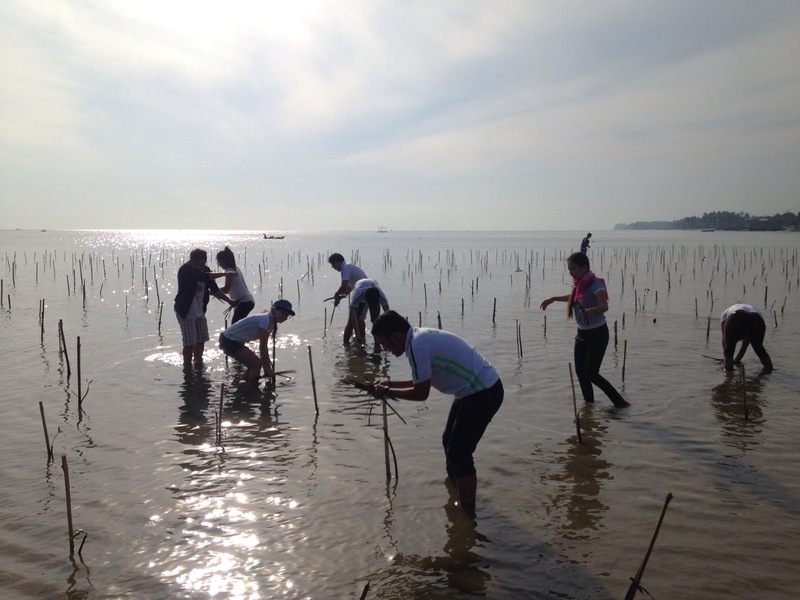 The mangrove planting activity was fun and fulfilling at the same time. Waking up early for a satisfying reason is truly worth it,” Gisselle Mantilla, ITPI Admin Officer, said. Developed by Italpinas Euroasian Design and Eco-development Corporation (ITPI), Primavera Residences has been actively promoting green advocacies in the city and has won numerous local and international awards for its eco-friendly architecture. Featuring the best principles of passive cooling technology: shadow and sunlight control, wind cooling and shape performance, the project has been cited as one of Asia’s top 10 clean energy projects because of its capacity to help residents save as much as 32% on overall energy consumption. Daniel Alcazar and Aldwin Ranario, Primavera’s sales associates said that their experience was way beyond all worldly things could give, it is more to saving what’s left and planting more to save the environment. “During the storm surge, these mangroves helped lessen the damage. Together, we can collectively get resources and could help rebuild the city. Let’s all stand up and save our reefs,” Dael concluded. Do you want to know more about Primavera Residences and its advocacies? You may call 0917 794 2221 or (088) 880-5002. You can also visit their website by clicking here.